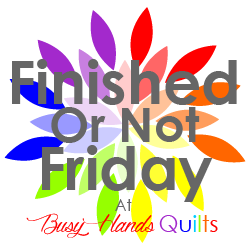 Another quilt is off of my third quarter finish-a-long! I sewed up the quilt top during a retreat in May and it has sat in my wip pile since. I finally found some backing fabric and set to work. Most of the Doctor Who fabric was leftover from my first Doctor Who quilt that I made for my husband last Christmas. So this was great quilt to use up some small scraps and will a few blenders added in, this makes a great guy quilt. 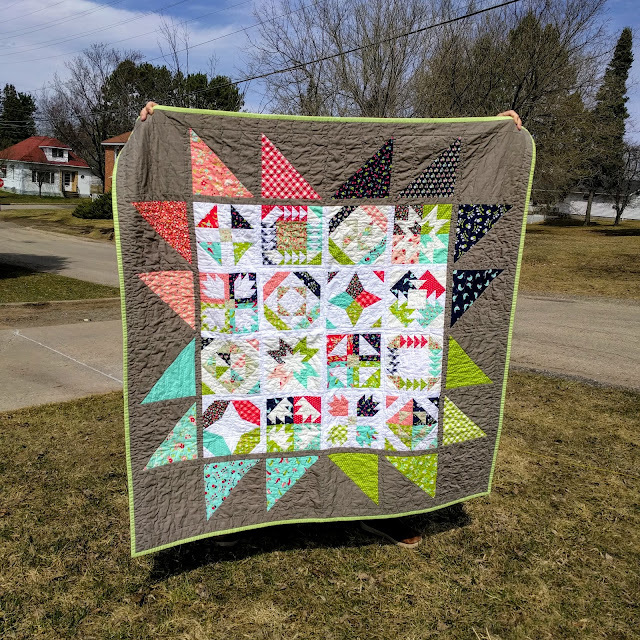 I used Jeni Baker's Honeydew quilt pattern and I love how fast it come together. 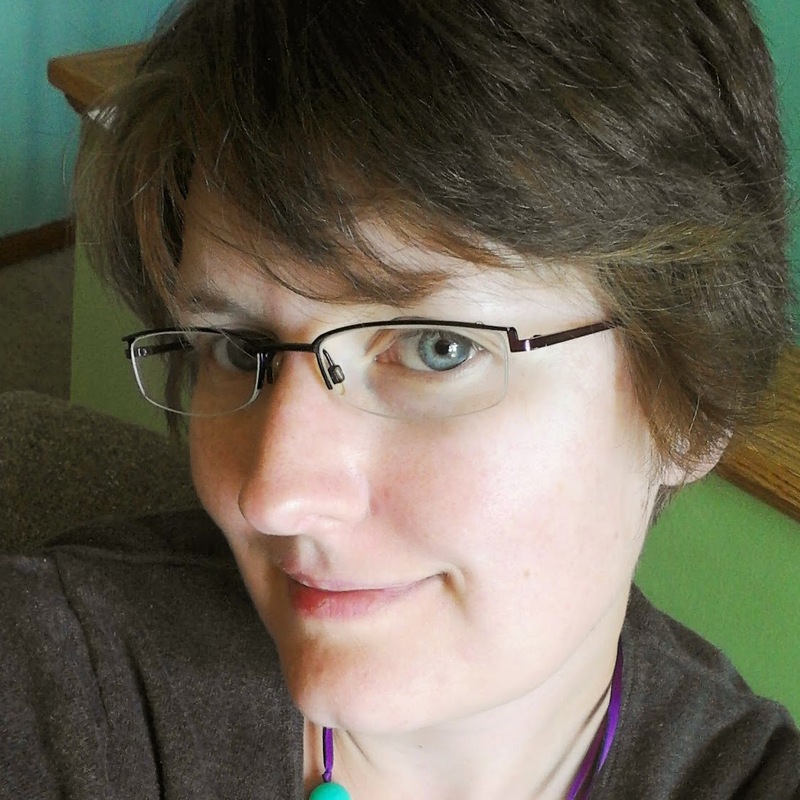 After a day of sewing at an all day retreat I had a finished top! Plus this is a great pattern for using up scrap squares with some yardage a perfect combination in my book! 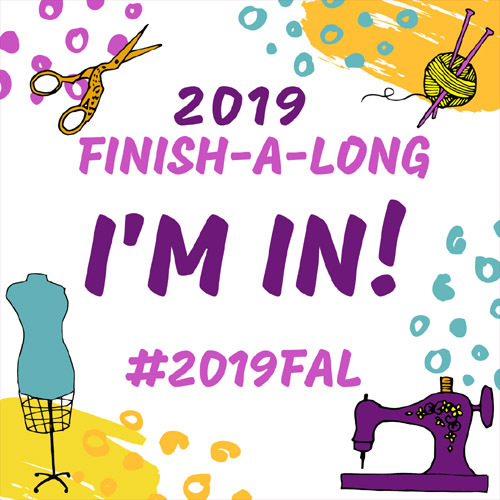 For the quilting, I did vertical straight lines down the middle of the columns and then straight lines across the rows. 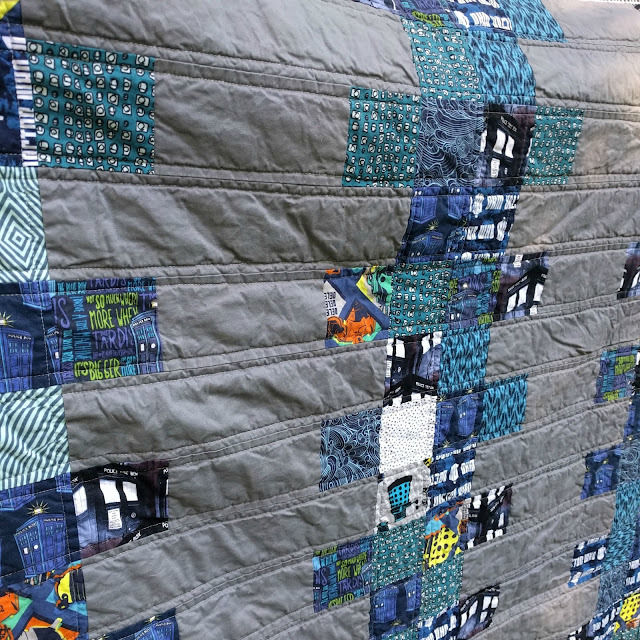 I used Aurifil #2610 for the quilting and I love how it just blends in with the Kona gray and the Doctor Who fabric. 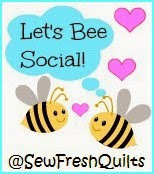 Linking up with Lorna from Sew Fresh Quilts for Let's Bee Social! Congratulations on your finish. 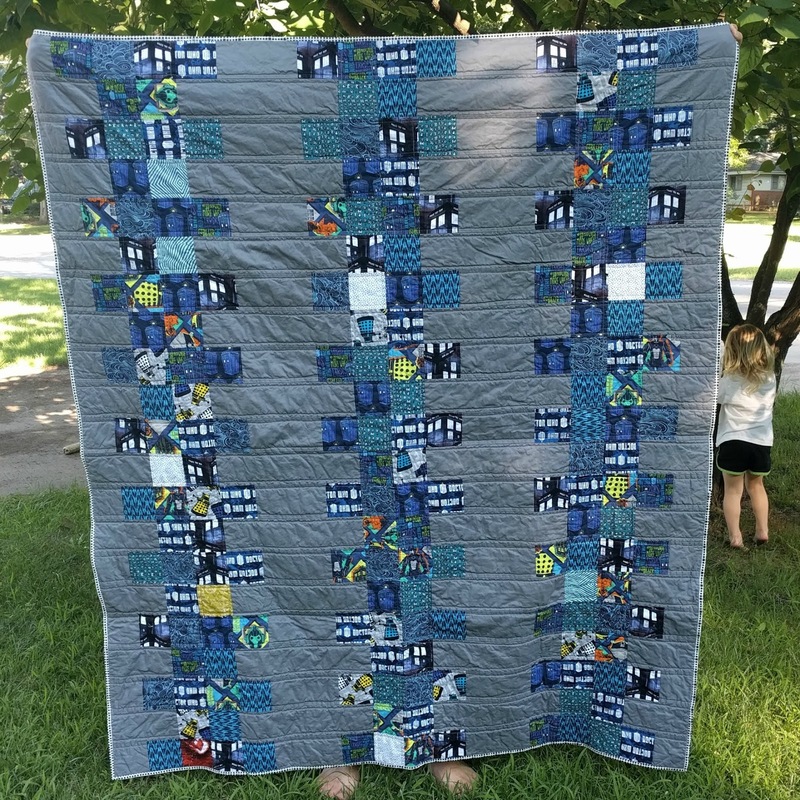 It's a great quilt, with lots of fun fabrics and I love the simple quilting. I really love this piece. The simplicity of the quilting really appeals to me - it just works here. Great job. What a great quilt! This would be a good quilt theme for my son who is also a Doctor Who fan!